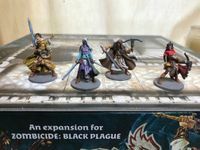 Painted hero miniatures. Like new condition. Includes NPC #1 expansion still in shrink.